The sixth Len and Sandy Sargent Stewardship Award honored Cesar Hernandez for exceptional creativity and tenacity over more than 30 years as he addressed myriad environmental issues in northwestern Montana. Cesar’s role in founding the Northwest Citizens for Wilderness and its extension, the Northwest Citizens for Wilderness Mining Company, set new standards for courage, selflessness, and unyielding determination. 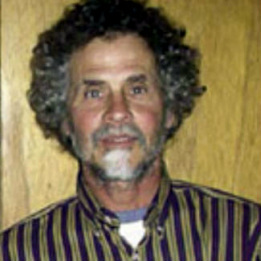 The list of issues that have occupied his life is humbling: protecting the Scotchman’s Peaks Wilderness Study Area by filing and holding mining claims; founding the Cabinet Resource Council; preventing a re-regulating dam on the Kootenai River; addressing a host of critical issues associated with Asarco’s Troy mine; mounting opposition to mineral drilling in the Cabinet Mountains Wilderness; hosting the Round River Rendezvous; advancing sound conservation practices on a wide variety of regional forest management issues; and responding to a host of issues associated with the proposed Rock Creek Mine. Under Cesar’s leadership, the Cabinet Resource Council became and remains a tireless advocate for the wild lands of northwestern Montana and a vigilant protector of the Cabinet Mountains Wilderness. Cesar’s recognition for outstanding environmental achievement included a $5,000 Special Award grant to the Cabinet Resource Group.